Every autumn, visitors flock to a town steeped in history that also offers pristine woods, panoramic vistas, outdoor activities, and plenty of charm. Fifty kilometres from Riga lies the picturesque town of Sigulda, a favourite weekend getaway for city dwellers who want to draw deep breaths of crisp and clean country air and delve into some fascinating local and national history. Known as the 'Switzerland of Vidzeme' (Vidzeme – the 'Middle Land' – is one of Latvia's three historical regions), the town is rich in castles, natural wonders, and outdoor activities. "Sigulda is worth of visit because of its unique natural surroundings in the beautiful Gauja River valley. Especially in autumn, you can observe the way the valley's flora turns into a golden-red tone," Uģis Mitrevics, a local government official, told RigaNOW!. 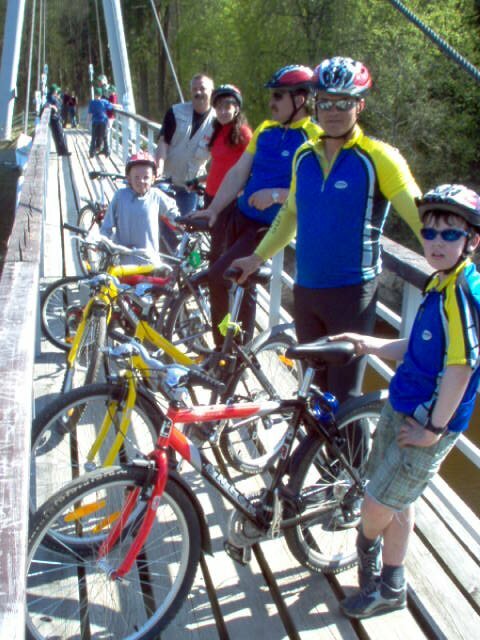 There’s plenty to see and do in and around Sigulda, and if you’re not feeling too sporty, you can rent a bike or simply walk around and enjoy the numerous parks and quiet tree-lined streets that take you through tidy, nicely lanscaped neighborhoods. Stop in at the tourist office in town, at 1a K. Valdemara Street, 100 meters from the train station, and get your hands on the walking tour map (€0.40). Follow the ‘short walk’ which stays within town on a 5.7 km easy-paced route. This will take you past such sights as Sateseles pilskalns where, as the story goes, the so-called ‘hill-of-the-cap’ appeared one night during the Swedish War forcing the adversaries to retreat to Sigulda. With no protective fortification behind which to hide, soldiers managed to build a hill by hauling soil with their caps. The walk continues along the ridge of the Gauja River valley, taking you past Paradise Mountain, through the cemetery, and on to Sigulda’s castle ruins. This fortification was built by the German Crusaders' Order of the Brethren of the Sword, begun in 1207. Today, only the massive crumbling walls remain, studded with gothic-framed windows. The ruins provide a beautiful setting for music festivals held every summer. The castle was originally an irregularly-planned fortification with massive walls built on the hill surrounded by wide moats, rivulets and a ring-wall with towers as guard posts, though these were all laid waste, along with the nearby town, during the Polish-Swedish War. The ‘New’ Castle across the moat is a beautiful estate and garden enclosed within protective stone walls. The main manor house, today available for special events, is surrounded by a balustrade balcony which overlooks the lush valley below. These buildings date from the 18th and 19th centuries, the reign of German noblemen. After WWI, this retreat was used by writers and journalists. It was impossible to get any sleep at night, however, because the sounds of clanking chains were said to resound through the corridors. LaterDuring later renovations, so the story goes, human bones in chains were found under the floorboards. The bones were given a proper burial, and since that time no more harrowing nighttime noises have been heard. Enter the Lutheran Evangelical church and climb up to the belfry for a scenic panorama, examining the restored organ on the way up. The ‘Long Walk’ outlined on the map, more akin to a hike, takes you on a 10-km journey down into the river valley. You’ll pass the base of the Olympic bobsled run, then follow the Gauja River downstream awhile. You can climb the hillside for a glimpse of the valley from Keizarkresls (the Czar’s chair); this spot acquired its name when Czar Alexander II, who visited Sigulda in 1862, was enraptured upon seeing the wonderful view over the valley afforded by this vantage point. Crossing the river and heading back upstream on the right bank is a refreshing walk in nature. 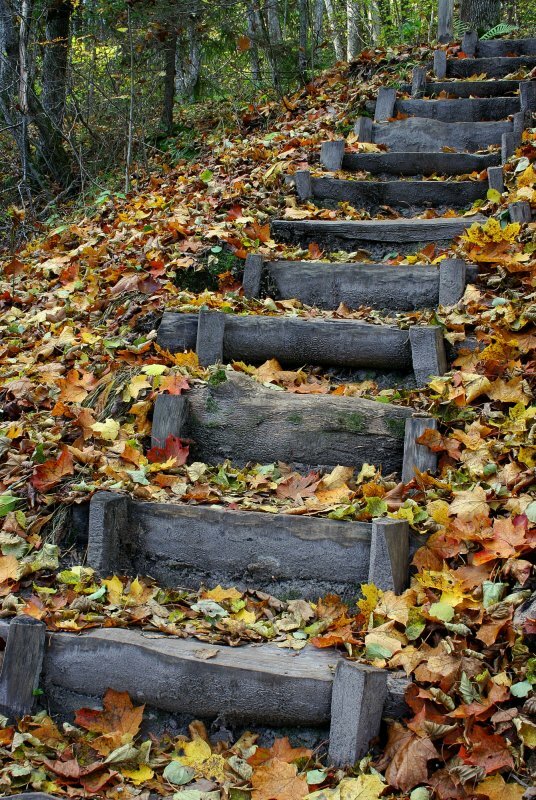 And, speaking of nature, Sigulda has lots to do in the way of sports and activities. Sigulda is the gateway to the Gauja National Park. This part of the Gauja Valley consists of a multitude of easy hiking trails where you can appreciate the area's beautiful natural features – meadows, cliffs, forest, sparkling streams, and an abundance of wildlife. The Gauja River’s water is still warm at this time of year, which means you can enjoy different forms of water fun by renting canoes, kayaks or hiring a rubber raft adventure. Two more castles await on your itinerary – Turaida and Krimulda. Both are on the right bank, across from Sigulda. It’s best to reach them by car or public transportation, or take the bus from the town center. Centuries ago, this part of Latvia was inhabited by the Livs, a Finno-Ugric tribe who were among the first settlers here in the Gauja Valley. There are legends and manuscripts which tell of fortified wooden castles – the Satesele, Turaida and Kubesele. These structures, built by the ancient tribes, can be called ‘hill forts’ or ‘castle mounds’ due to their c design, and were built for protection against the German Crusaders. Today there are seven known Liv castle mounds remaining, as well as a number of their burial grounds located in and around Sigulda. Upon the Crusaders’ final victory, in 1207, when they finally succeeded and burned down the wooden castle at Turaida, they proceeded to divide the land between the Order of the Brethren of the Sword and the Archbishop of Riga, Albert. The Order received the land south of the Gauja, while the Archbishop claimed that north of the river. Sigulda received its name from the fortress built by the Order, which was called Siegewald, or Victory Forest; its function was to protect the border between the Order's lands and those of the Archbishop across the river. Along with their rule, the German invaders brought with them new building techniques, using stone and masonry typical of European architecture of the time. During the Livonian War (1558-1583), Sigulda was twice sacked by the Russians. The last master of the Livonian Order, Gotthard Kettler, swore fealty to the Polish-Lithuanian Empire, in 1561, in a bid for protection against Ivan the Terrible. This region of Latvia, Vidzeme, thus became a part of Poland, with Sigulda as its provincial capital. This attracted the menace of the Swedes. 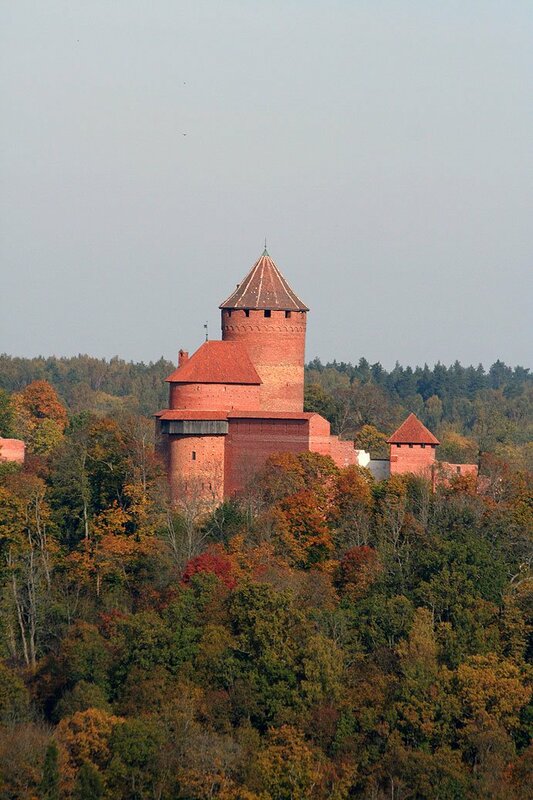 The town was sacked again during The Polish-Swedish War, which lasted from 1600 to 1629, bringing an end to Turaida Castle’s importance as a military fortress, upon which it was turned into the central building of a baronial estate. Several additional buildings were built near the main castle, along with a residential building known as the New Castle which went up in 1881. The church within the Turaida Castle Preserve is one of the oldest rural churches in this part of Latvia, dating from 1750. The cemetery next to the church contains the grave connected to one of most famous legends in Latvia, the Rose of Turaida. The growing town of Sigulda began to flourish in the late 19th century, when the Riga-Pliskau road and the Riga-Valka railroad were built. The Kropotkins family developed Sigulda as a recreational area, which became popular throughout the Russian Empire. Convenient connections to Riga led to additional waves of tourists. Visitors arrived to hike the so-called "Alpine trails" and to inspect the castle ruins and sandstone caves. Attractions such as horse-drawn wagon rides and a bobsled run brought people from near and far. The on-set of World War I brought change, and with it serious damage to the wooden buildings, many of which had been built in the style of Swiss mountain chalets. During Latvia’s inter-war independence years, the government confiscated the baronial estate. The main building was turned over to the Latvian Association of Writers and Journalists, who set up a recreational facility on the grounds. After 1923, all construction in Sigulda had to conform to the city plan, which regulated the size of building lots, the direction in which streets could run, and which established the town’s numerous parks. Another onslaught, World War II, brought suffering back to Sigulda, and caused much damage. The railroad station, a bridge across the Gauja river and an open-air stage were all destroyed. The end of the war saw the country fall under Communist control. A development plan introduced by Soviet authorities in 1946 called for the creation of new initiatives for economic growth to promote local industry and communal construction. From 1950 to 1961, Sigulda became the administrative, economic, and cultural center for the region. By the early 1950s, the historical centres of Krimulda and Turaida were placed within the administrative control of Sigulda. 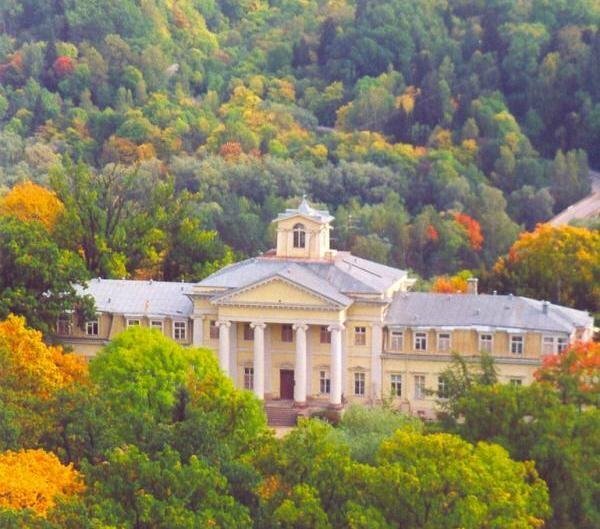 Three sanatoriums and a tourism facility at Turaida were opened and, in 1969, a cable car crossing was erected across the river valley below, connecting Sigulda with Krimulda. The Gauja National Park, Latvia’s first such park, was established in 1973, adding to the attraction of Sigulda. During the 1960s right through to the 1980s, construction was typical of small town buildings across the Soviet Union. Pre-war private homes with their wonderful gardens sat alongside big concrete blocks of stark communal housing structures. Sigulda again came into its own upon the construction and completion of an Olympic-level luge and bobsled track in 1986. This led to international-level sports competitions, which remain important today. Today, Sigulda is developing rapidly as a favourite place for outdoor recreational activities and is known as a quiet place to live that is still close enough to Riga for daily commuting.